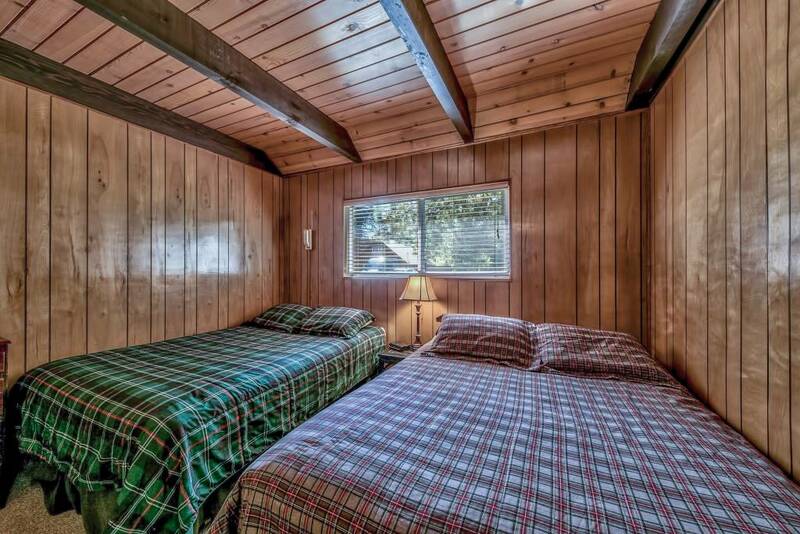 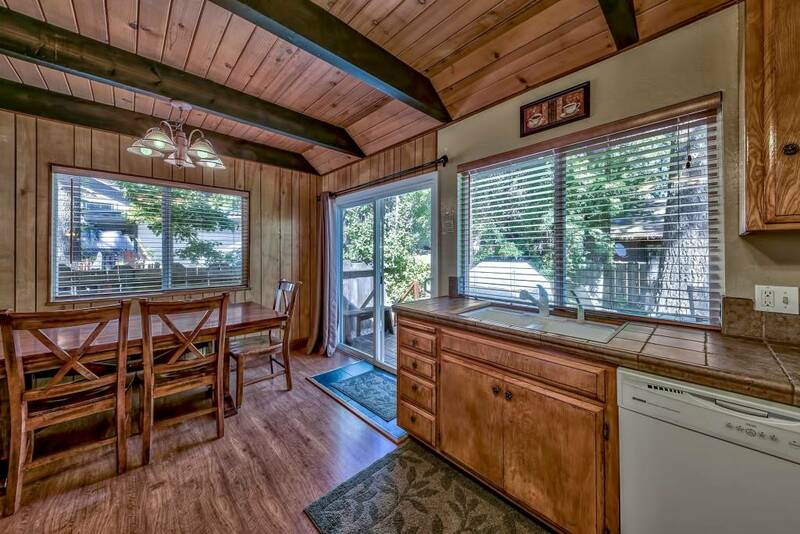 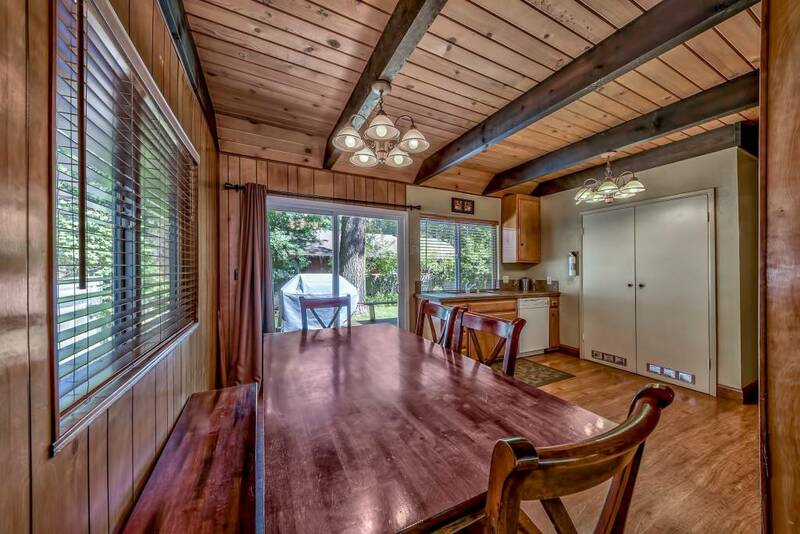 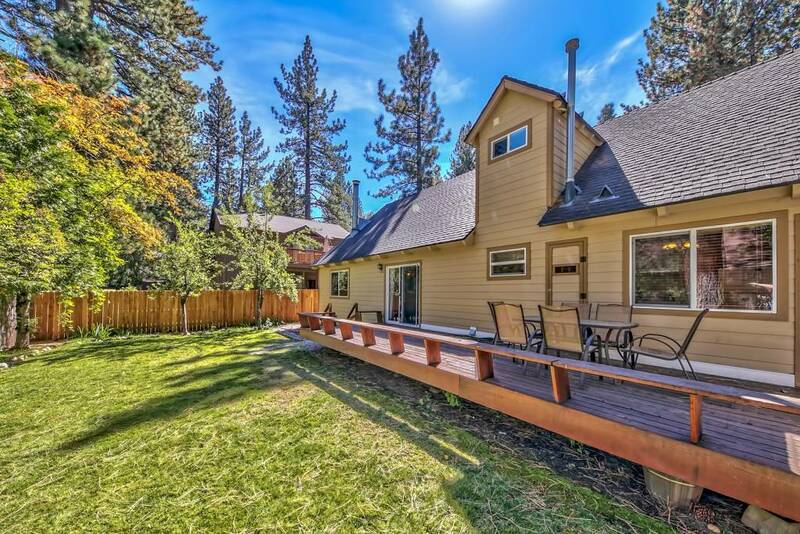 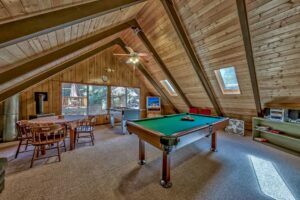 879 Rainbow Drive, South Lake Tahoe, CA 96150 El Dorado County is a spacious chalet in Tahoe Island Drive! 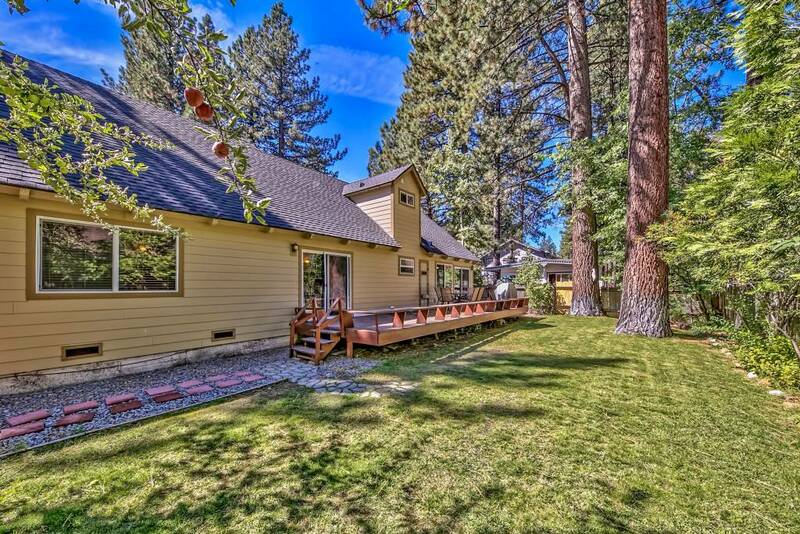 This well-maintained home is located near the bike path leading to Pope Beach, Camp Richardson, Fallen Leaf Lake, and is just minutes from shopping, dining, and Heavenly Ski Resort. 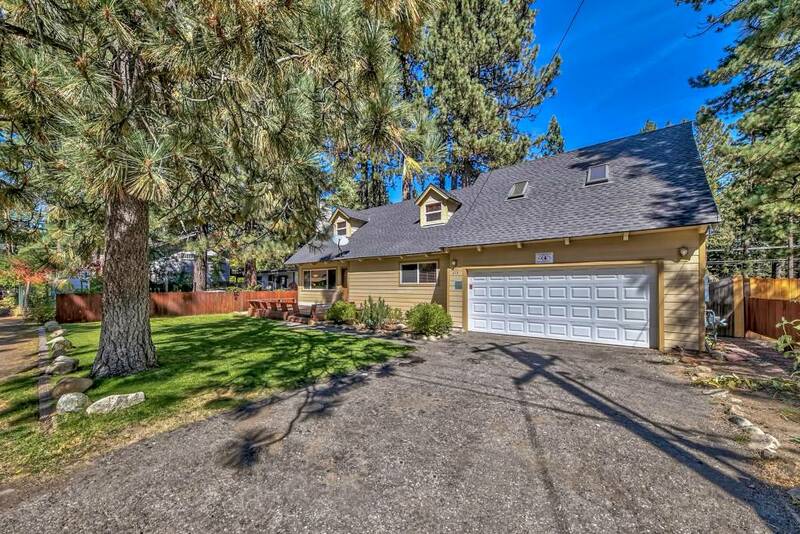 The exterior has been recently updated with durable Hardie Plank siding and a newer comp roof. 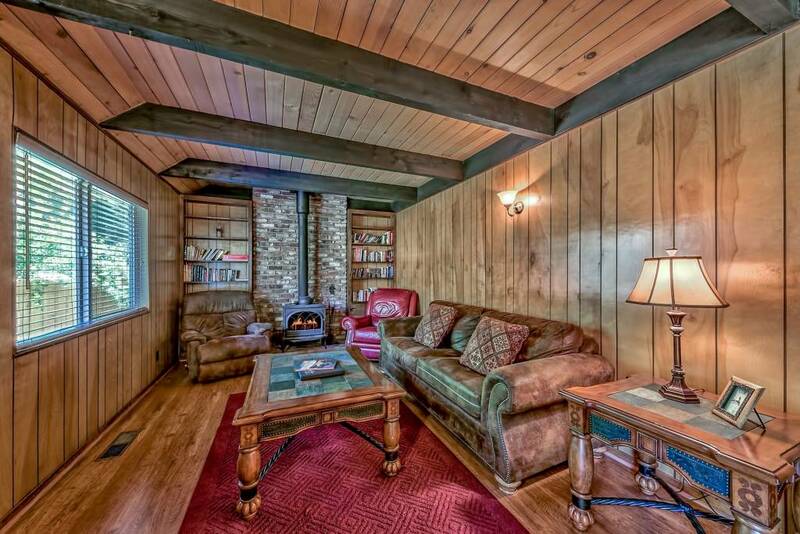 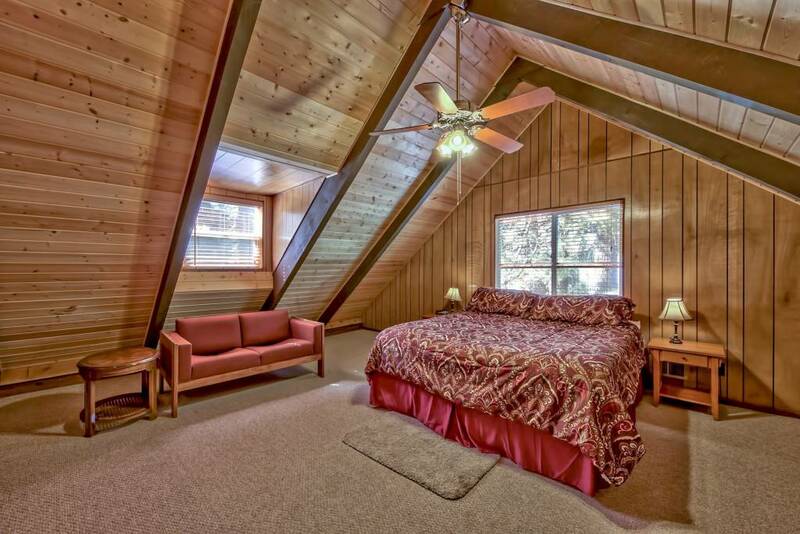 The inside of this Tahoe chalet feels like comfortable mountain living! 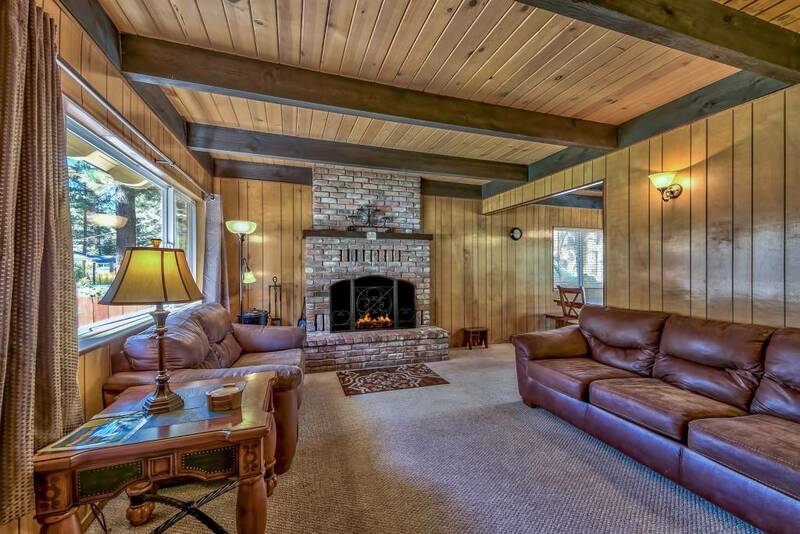 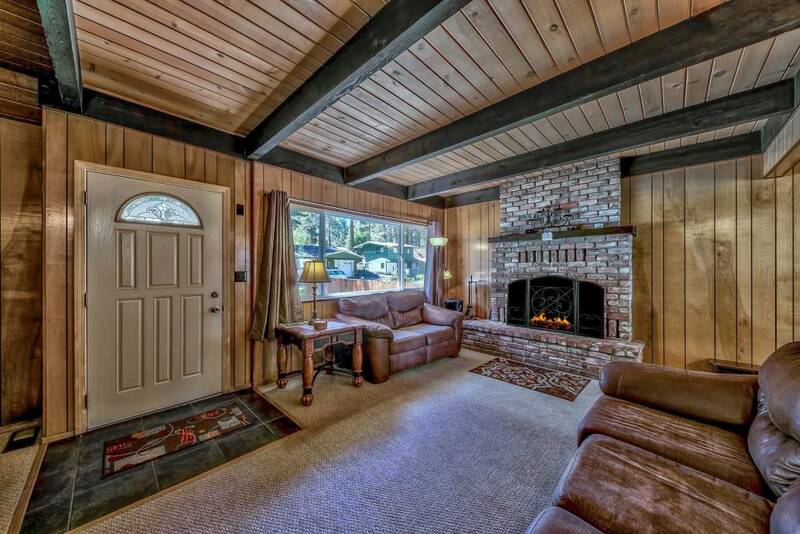 The downstairs family room has open beam ceilings and a beautiful brick open burning fireplace. 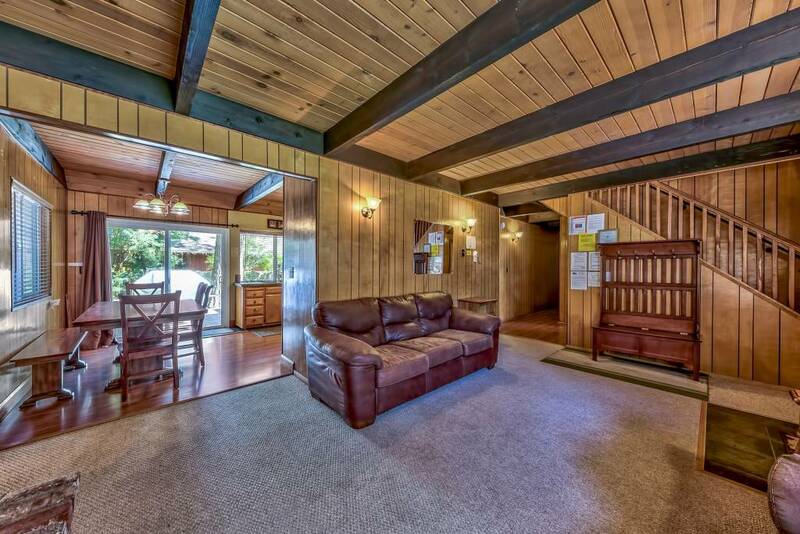 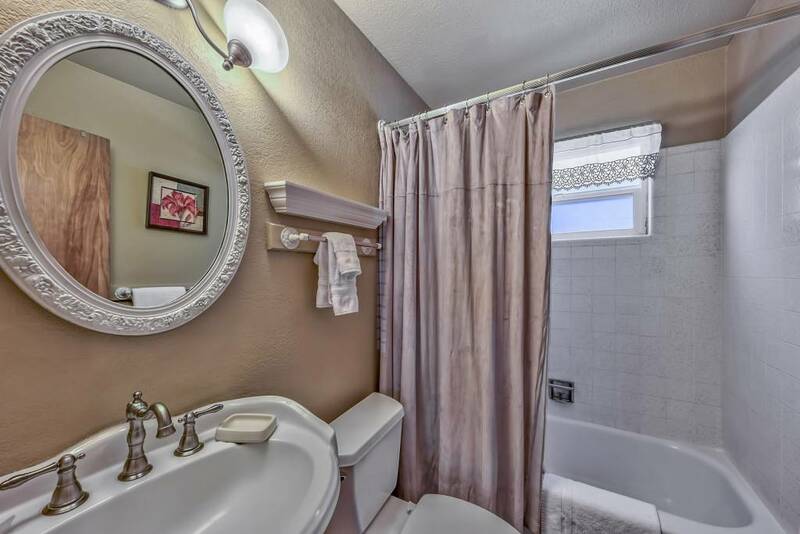 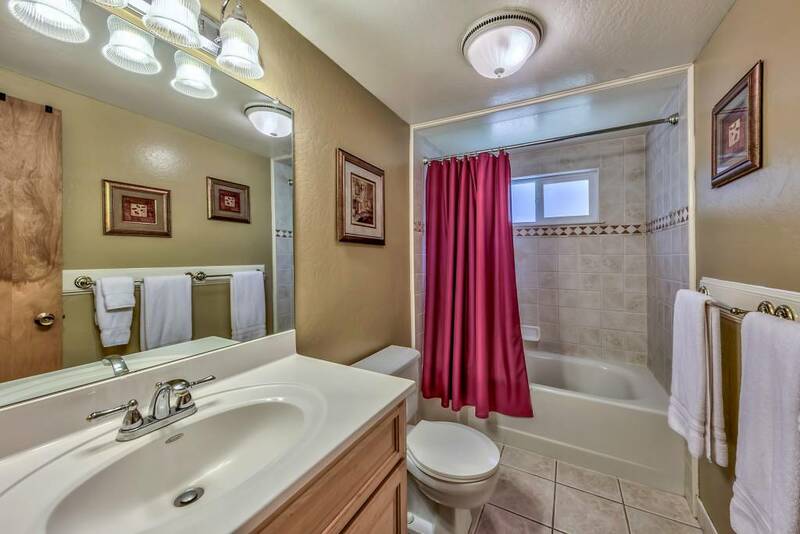 Also downstairs is an inviting den with a free standing wood burning fireplace, laminate flooring, and a sliding glass door with backyard access. 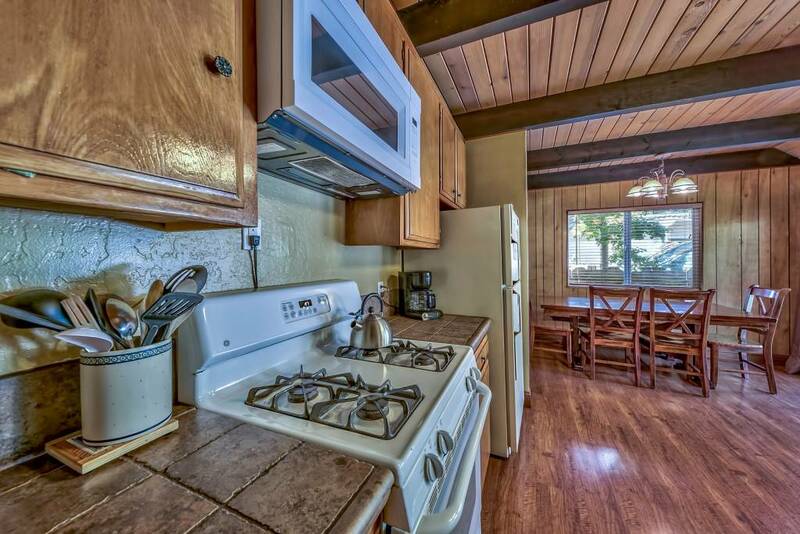 The kitchen has easy access to the large back deck for grilling and includes tile counters and a gas range. 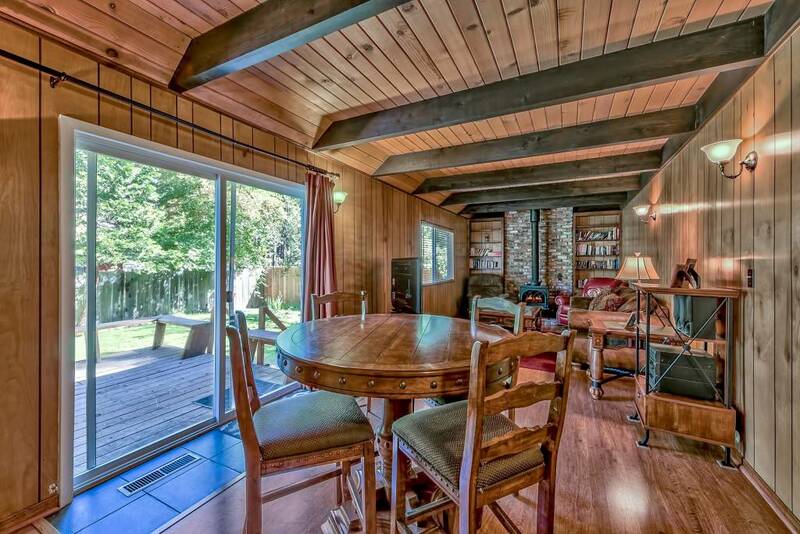 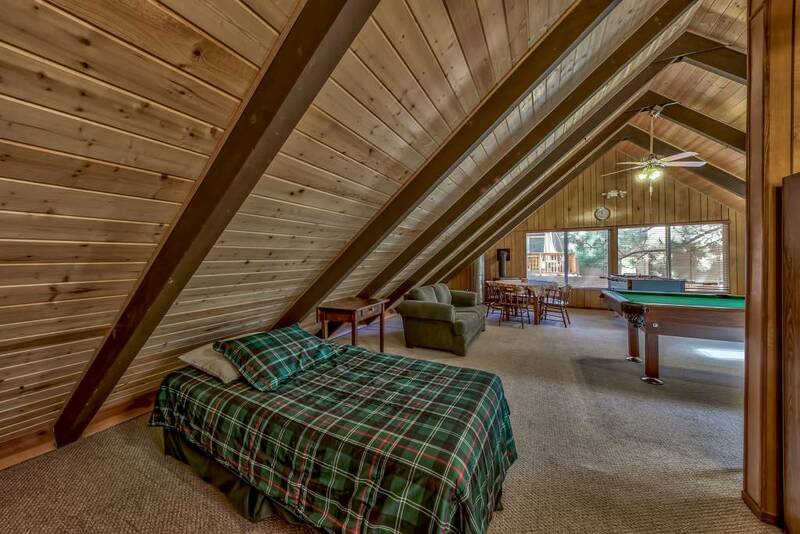 There is a 3rd living area/game room upstairs with pine plank ceilings, skylights, and a free-standing gas fireplace. 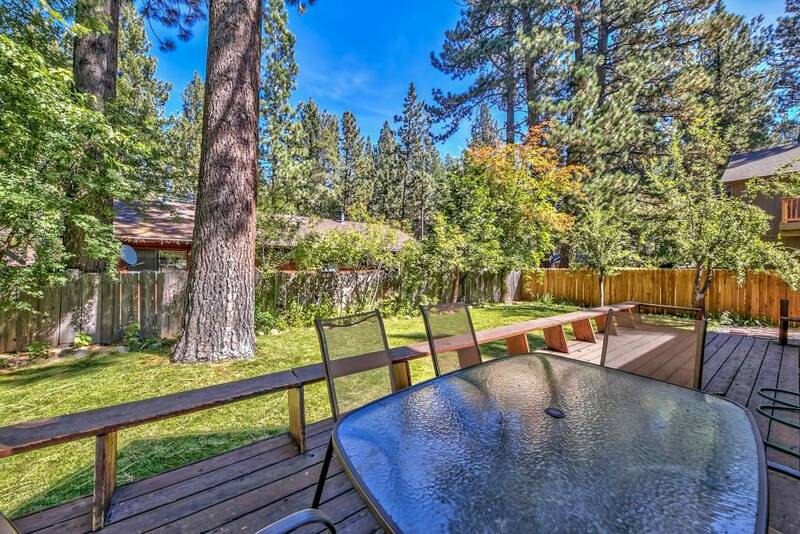 The sunny yard has been landscaped and has a fully fenced backyard. 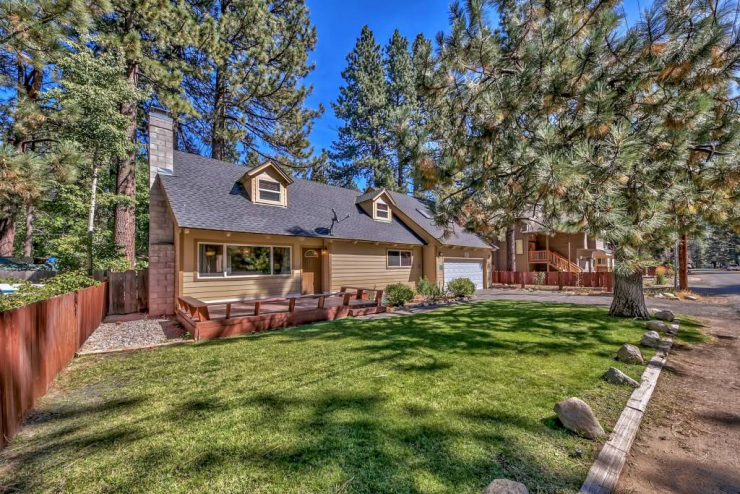 This spacious chalet is a must see!